Retail $12.95 SAVE 20% ! The &apos;50 Studebaker is a nice addition to my train town. 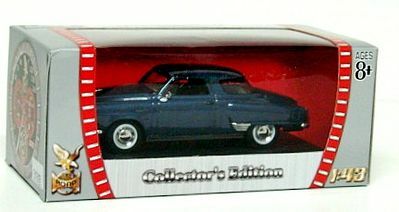 It&apos;s an unusual vehicle that looks great and brings back memories for me even though they were from the late 50&apos;s. Hobby Linc is great for having die cast vehicles you do not find everywhere at an excellent price. Details are really nice on the car.